Smart windows available with controllable glazing are capable of augmenting heating, cooling and lighting systems by changing their tint, thus saving up to 40% in an average building's energy costs. These smart windows need power for operation, hence they are relatively complicated to install in the existing buildings. However, Researchers at Princeton University have employed a new solar cell technology to develop a different type of smart window: a self-powered version that ensures to be cost-effective and easy to apply to the currently available windows. This system is available with solar cells that particularly absorb near-ultraviolet (near-UV) light, so the new windows are entirely self-powered. Sunlight is a mixture of electromagnetic radiation made up of near-UV rays, visible light, and infrared energy, or heat. We wanted the smart window to dynamically control the amount of natural light and heat that can come inside, saving on energy cost and making the space more comfortable. The transmission of visible light and infrared heat into the building is controlled by the smart window, and near-UV light is used by the new type of solar cell to power the system. "This new technology is actually smart management of the entire spectrum of sunlight," said Loo, who is a Professor of Chemical and Biological Engineering. Loo is one of the Authors of a paper that explains this technology, which was developed in her lab. This paper was published on June 30th. Since near-UV light is invisible to the human eye, the research team focused on harnessing it for the electrical energy required for activating the tinting technology. Using near-UV light to power these windows means that the solar cells can be transparent and occupy the same footprint of the window without competing for the same spectral range or imposing aesthetic and design constraints. Typical solar cells made of silicon are black because they absorb all visible light and some infrared heat – so those would be unsuitable for this application. The Researchers, in the paper published in Nature Energy, explain how they employed organic semiconductors - contorted hexabenzocoronene (cHBC) derivatives – for producing the solar cells. They selected the material because it was possible to modify its chemical structure in order to absorb a narrow range of wavelengths, in this case, near-UV light. The solar cell was constructed by depositing the semiconductor molecules as thin films on glass with the same production methods employed by organic light-emitting diode Manufacturers. Sunlight excites the cHBC semiconductors to generate electricity when the solar cell is operational. The Researchers also developed a smart window made up of electrochromic polymers, which control the tint, and can be exclusively operated using power generated by the solar cell. When near-UV light from the sun produces an electrical charge in the solar cell, the charge activates a reaction in the electrochromic window, making it to change from clear to dark blue. The window is capable of blocking more than 80% of light when darkened. Nicholas Davy, a Doctoral Student in the Chemical and Biological Engineering department and the paper's Lead Author, stated that other Researchers have already produced transparent solar cells, but those focus on infrared energy. However, infrared energy carries heat, and hence using it to produce electricity can result in a conflict with a smart window’s function of controlling the heat flow in or out of a building. 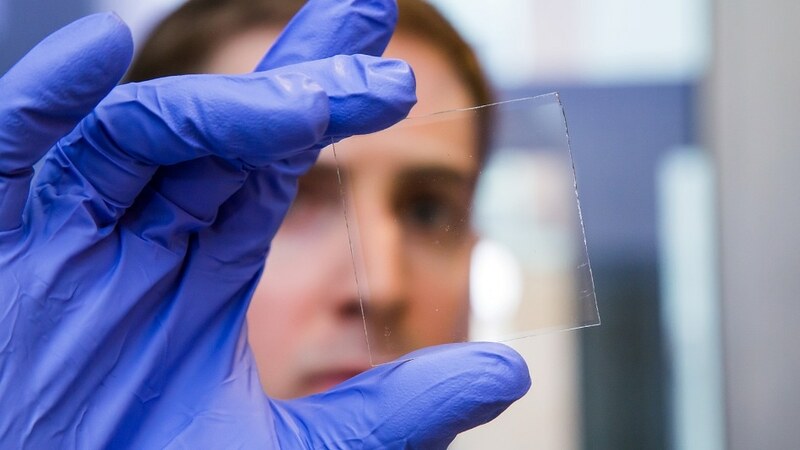 On the other hand, transparent near-UV solar cells do not produce as much power as the infrared version, but do not hinder the transmission of infrared radiation, so they indeed complement the smart window’s task. Davy stated that the Princeton team’s goal was to develop a flexible version of the solar-powered smart window system capable of being applied to the currently available windows through lamination. Someone in their house or apartment could take these wireless smart window laminates – which could have a sticky backing that is peeled off – and install them on the interior of their windows. Then you could control the sunlight passing into your home using an app on your phone, thereby instantly improving energy efficiency, comfort, and privacy. Joseph Berry, Senior Research Scientist at the National Renewable Energy Laboratory, who studies solar cells and was not involved in the research, stated that the research project is appealing because the device scales well and targets a particular part of the solar spectrum. "Integrating the solar cells into the smart windows makes them more attractive for retrofits and you don't have to deal with wiring power," said Berry. "And the voltage performance is quite good. The voltage they have been able to produce can drive electronic devices directly, which is technologically quite interesting." Davy and Loo have together started a new company, called Andluca Technologies, based on the technology explained in the paper. They are already working on exploring various other applications for the transparent solar cells. Davy and Loo explained that the near-UV solar cell technology is also capable of powering internet-of-things sensors and various other low-power consumer products. "It does not generate enough power for a car, but it can provide auxiliary power for smaller devices, for example, a fan to cool the car while it’s parked in the hot sun," Loo said. Besides Loo and Davy, Melda Sezen-Edmonds, a Graduate Student in Chemical and Biological Engineering, is the Co-Author of the electrochromic portion of the paper. Other Authors include Jia Gao, a Postdoctoral Researcher in Loo’s group then, presently with Enablence Technologies in California; Xin Lin, a Graduate Student in Electrical Engineering; Amy Liu, an Undergraduate in Computer Science; Nan Yao, Director of Princeton's Imaging and Analysis Center; and Antoine Kahn, the Stephen C. Macaleer '63 Professor in Engineering and Applied Science and Vice Dean of Princeton's School of Engineering and Applied Science. The National Science Foundation, and the Wilke Family Fund administered by the School of Engineering and Applied Science at Princeton partially supported the project.